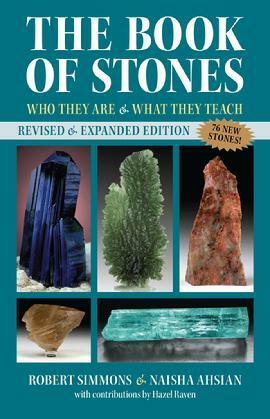 This new revised and expanded Book of Stones is the most in-depth, definitive guide to the world of crystals, minerals, gemstones, and their metaphysical energies. Encompassing nearly 400 separate stone varieties, with vivid color photographs and essays on each stone’s spiritual properties, it takes you deep into the world of crystals, and their uses for spiritual awakening and self-healing. The Book of Stones can teach you about each mineral’s scientific properties, history and lore, elemental energies, chakra correspondences, and which stones work best together. Whether you are a beginner or an experienced practitioner, The Book of Stones can give you clear, easy-to-understand information that will help you enjoy the beauty and benefits of the mineral realm. The index of physical, emotional, and spiritual correspondences in this new addition makes it easy to find the stones that suit you best. This pictorial metaphysical encyclopedia is what crystal lovers all over the world have been waiting for!